A passionate love affair between high school sweethearts creates an accidental pregnancy during a sultry night on the shore of Lake Michigan. Rebecca's unforgiving parents banish her to an unwed mother's home where she secretly gives birth to a baby girl. Her daughter Judy is placed in the loving care of foster parents before being callously given to Mario and Rosella Romano for adoption on her first birthday. Reoccurring visions and fantasies of her birthmother plague Judy's consciousness for three decades until a life-changing passage into adulthood causes her to question why she was abandoned. What begins as a simple investigation into her medical and ancestral history slowly evolves into a passionate quest to discover her roots. 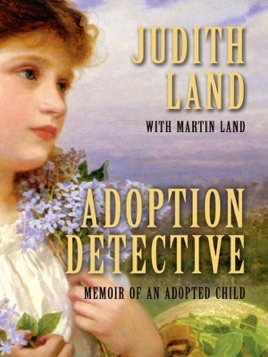 Judith and Martin Land live in Colorado and Arizona, They told the entire story of Judith Land's adoption, from her birth through adulthood, to provide the reader with unique insights into the mind of an adoptee at various stages of her life. Adoption and parenting are topics of mass social relevance that resonate globally in all cultures. For that reason, this story will appeal to a wide audience as readers of all ages carry along many of their own personal experiences and ideas. I was greatly inspired by the unwavering focus, resilience, and tenacity of the main character Judith Romano, a young girl who is orphaned, fostered and adopted. I was mesmerized by her vivid descriptions of the pivotal events in her life, and captivated by the intensity of her emotional responses. Her journey evokes and sustains a high amount of empathy for her values, heritage, and setting in an historical context, both then and now. The story helped me experience a change in thinking about children who are adopted, the value of self-identity, and the importance of family connections. Transitions between chapters leave the reader wanting more and eager to continue reading. Knowing how she feels, what she wants, what hinders her and those who oppose her, and what it all means, is clearly stated. She faces an insurmountable challenge to find her biological roots, but her tenacious approach to problem solving eventually demonstrates the power of the individual to overcome obstacles to conquer adversity. Her opinions and conclusions about the value of self-identity, motherhood and bonding, and family connections, are educational and inspirational. Her character, awareness, and descriptions of the circumstances that shaped her life, are revealing and enlightening about what it means to be fostered and adopted. The sensitivity and tenderness of her Dear Mom letters made me cry. The way Judith Romano’s experience is recounted is uniquely fresh and bold. I found her story to be inspirational and educational.